Intel claims to have democratised deep learning application development with the launch of its new Movidius Neural Compute Stick. You might remember that Intel acquired machine vision specialist Movidius Technology almost a year ago. This new Compute Stick takes the Movidius name as it packs one of the company's Myriad 2 VPUs (Vision Processing Units). According to Intel this USB 3.0 connected stick is the "world's first USB-based deep learning inference kit and self-contained AI accelerator that delivers dedicated deep neural network processing capabilities to a wide range of host devices at the edge". The edge is the point where the deep learning and AI might be applied by a device. 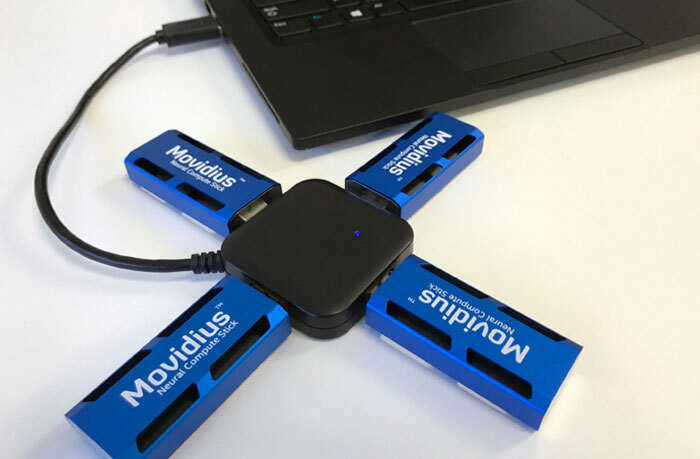 "The Myriad 2 VPU housed inside the Movidius Neural Compute Stick provides powerful, yet efficient performance – more than 100 gigaflops of performance within a 1W power envelope – to run real-time deep neural networks directly from the device," said Remi El-Ouazzane, vice president and general manager of Movidius, an Intel company. 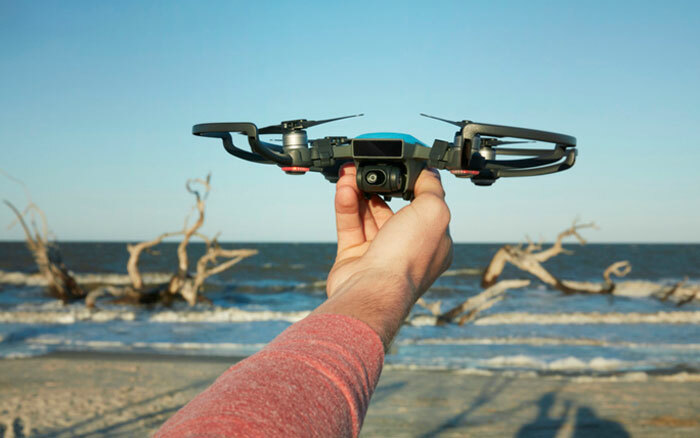 "This enables a wide range of AI applications to be deployed offline." If you are a deep learning developer you will still do the algorithm training on much more powerful equipment. However, these Intel Movidius Neural Compute Sticks will then be able to run the compiled Caffe-based convolutional neural network (CNN) inference app on the Myriad 2 VPU. This brings benefits of latency, power consumption and privacy. That's not all, the Movidius Neural Compute Stick can behave as a discrete neural network accelerator by adding dedicated deep learning inference capabilities to existing computing platforms, claims Intel. Suggested devices that could use the Movidius Neural Compute Stick AI include drones, roombas, cameras, and robots. 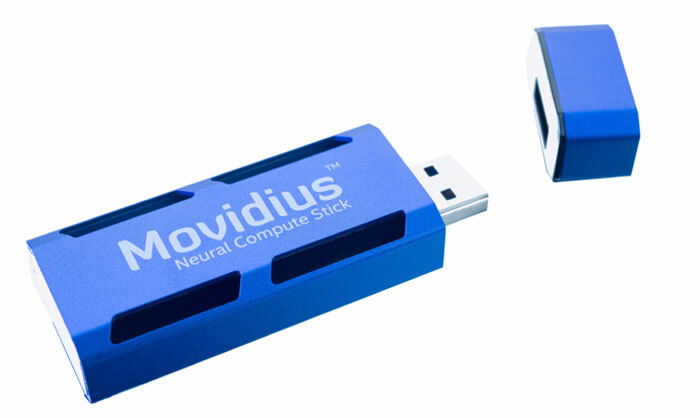 The Movidius Neural Compute Stick is available to purchase through select distributors for MSRP $79. This device will feature in discussions at the conference on Computer Vision and Pattern Recognition (CVPR) in Honolulu, Hawaii, from 22-25th July. Is it possible that they will use this stick connected to your PC to use power of YOUR PC for their calculations. So this becomes something like “Trojan Horse”? I wonder if a few of these daisy chained to a Moose might be able to give it some commonsense? Cyber-Moose time! So not for Windows folks unless there's an Ubuntu VM handy. does anyone actually know what this thing does in plain English?